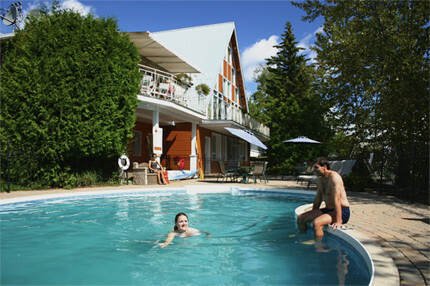 In addition to the Bayou Restaurant and Pub, Hôtel Le Francis offers its clients many other services and conveniences. Whatever the season, Hôtel Le Francis is your gateway to a host of activities and attractions on the premises or nearby. Admire the stunning view of the Petite Cascapédia salmon river – famed for its emerald water – while enjoying some relaxing down time at the outdoor spa. From late June to late September, the spa is open daily from 9 am to 10 pm. A source of happiness and an oasis of delight for children, and for the adults who also enjoy relaxing there. Heated to make the experience even more enjoyable, our pool is supervised by a lifeguard. From late June to early September, the pool is open daily from 10 am to 12 pm and from 1:30 pm to 7 pm. We also have two bicycles available for our adult clients, free of charge. 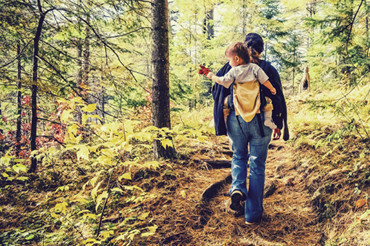 Use them to discover the trails around our establishment or to explore our charming small town. You absolutely have to stop in at Taylor Point park on the Chaleur Bay shore. You can borrow a bike any day from late June to late September. 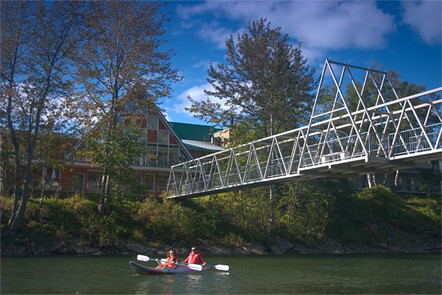 We also have two river kayaks so you can explore the splendid emerald waters of the Petite Cascapédia salmon river. From late June to late September, you can borrow a kayak daily from 8 am to 8 pm. On the hiking trails near the hotel, you can enjoy a peaceful walk in a lush natural setting. Take the footbridge over the Petite Cascapédia and watch the birds as you make your way to Point Taylor park (a 3-km walk). In winter, visitors who enjoy snowshoeing can use the trails near the hotel by taking the footbridge over the Petite Cascapédia. Three kilometres in length, they go all the way to Point Taylor park. 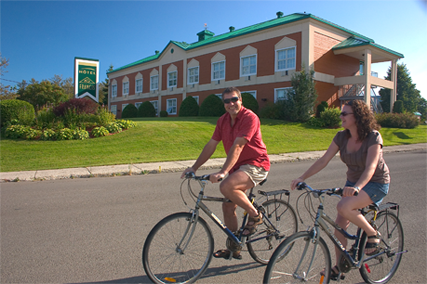 There are numerous attractions and activities in New Richmond, including Henderson municipal beach (where you can enjoy a dip in Chaleur Bay), Taylor Point park, the Duthie Point site and its historic village, a marina, a geocaching trail, sports and cultural events (including the Bluegrass Festival, Christmas in the Gaspé and the Chaleur Bay car rally), a public market and the ski centre, Station touristique Pin Rouge. 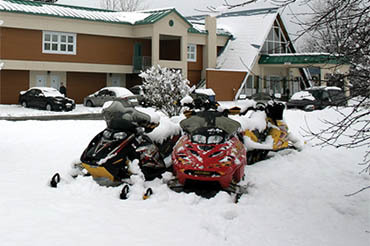 Located at the crossroad of the Trans-Québec 5 snowmobile trail that travels around the Gaspé Peninsula and the 595 trail connecting New Richmond and Saint-Paulin (in the Matane wildlife reserve), Hôtel Le Francis is the ideal place for snowmobilers, a loyal and growing clientele. 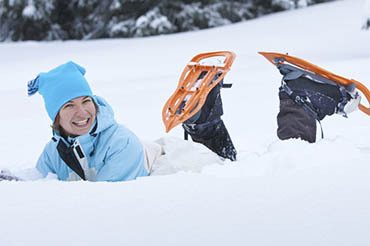 Discover our advantageous winter packages! For more information about the trails, visit Sentiers Gaspésie. Hôtel Le Francis is located near several gas stations and the Polaris and Bombardier dealerships. Station touristique Pin Rouge, a ski centre located about 10 minutes from Hôtel Le Francis, offers a full slate of activities for the whole family in winter: alpine skiing and snowboarding, tubing (with a mechanical lift), snowshoeing, cross-country skiing and skating. And the Club de ski de fond de New Richmond maintains a fantastic network of trails at the Duthie Point site. Visit Ville de New Richmond for more information about activities and attractions.